Scent Description Can you say crisp, red and juicy? Then you've said a mouthful of our Mac Apple! 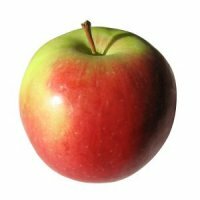 Trademark Info MacIntosh Apple is a registered trademark of Yankee Candle Company. If you use this fragrance be sure to change the name to avoid legal conflict. One of my favorites! Strong and crisp. Perfect dupe of YC. Love it! You will not find a better Mac scent than this!Excellent in palm or soy wax.Awesome in Aroma Beads. Just like fresh cut macintosh apple! crisp & Juicy! Great throw in soy! By far, my favorite Macintosh Apple scent anywhere. I couldn't believe how strong and crisp it was the first time I was able to work with this. I've only tried this in the Ez ParaSoy so far for 8oz jelly jar candles, but it could not have performed better! Absolutely perfect. Exactly like a Macintosh Apple!